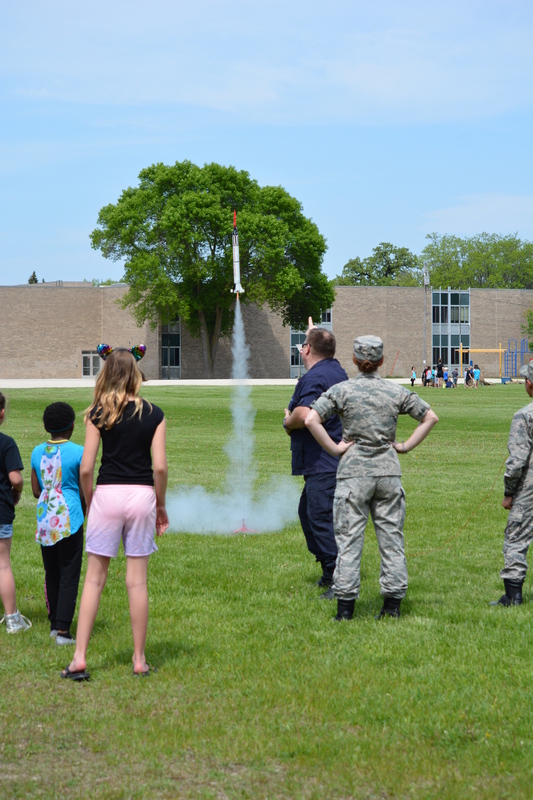 Fond du Lac STEM Academy students had a hands-on learning opportunity in aerospace education through a model rocket launching program held on May 14th and May 24th. The event was hosted by the Sheboygan Composite Squadron of the Civil Air Patrol. On May 14th, students participated in a presentation on rocket aerodynamics and laws of motion pertaining to rocket flight. They then built rockets through project-based learning groups; a hallmark of the Fond du Lac STEM Academy’s learning structure. On May 24th, students launched their completed model rockets from the school grounds near Riverside Elementary School under the watchful supervision of trained Civil Air Patrol leaders and cadets. “This was a great opportunity to get outside and show the community who Civil Air Patrol is and what we do. 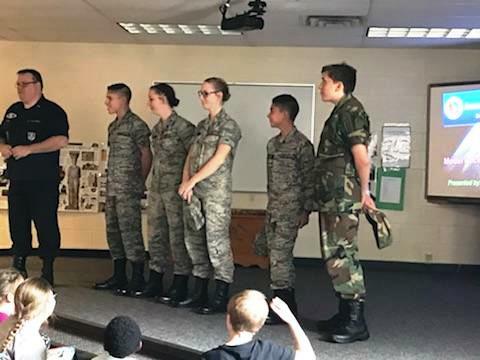 I hope this to be the first of many opportunities for the Sheboygan Composite Squadron to partner with Fond du Lac STEM as well as other schools within the Fond du Lac School District.” said 1st Lieutenant Scott W. Kreis. Lieutenant Kreis is the Aerospace Education Officer of the Sheboygan Composite Squadron and coordinated the event with the incredible help of Fond du Lac STEM Academy teacher Kim McGrath and Principal Timothy Scottberg.